App, smartwatch, fitness tracker… how well do they measure your miles? As anyone who’s challenged themselves to #walk1000miles already will know, keeping track of those miles can be an onerous task without the help of technology. A smartphone or dedicated gadget can do all the measuring and tallying up for you. But with different gadgets using different technology to record the distance you walk, it’s hard to know which will give the most accurate stats. Measurements made by apps or gadgets vary depending on whether and how they use GPS, mobile network geolocation services or an accelerometer to estimate mileage based on your step count and stride length. We put the 15 apps and gadgets we reviewed to the test, to find out which are the most accurate. We compared them on an identical route through our local country park, using a trusty trundle wheel to provide a control measurement. Our experiment revealed some gadgets are prone to giving wildly optimistic mileages, while others short-changed us. A few were near enough spot on. A gadget or smartphone app isn’t the only way to record miles however, so we’ve looked at some low-tech solutions too. Sleek, reliable, popular, with the best app for joy and encouragement. Only the irritating screen interface lets it down. Oddly off the mark with the mileage for a brand specialising in navigation, but in most respects a joy to use across hardware and app. Great value too. This simple to operate tracker punches above its price in terms of its feature offering, but its on-board tech can put a strain on the small battery. It’s a top spec, smart fitness tracker that’s easy to operate and boasts a host of non-walky features. But we expected more reliable performance for the price. The watch itself is annoyingly hard to use, but the functions are near-perfect, it’s fully outdoor-proof, and the app is a joy to become pleasantly obsessed with. Like all Apple products, the Series 3 is slick and easy to use. It isn’t designed for rugged outdoor use though, so best used on shorter walks. If you want a high-performance smartwatch that can handle long days in all weathers and on every type of terrain, the Pro Trek is perfect. An all-singing, all-dancing outdoor-proof smartwatch, the Fenix goes above and beyond what most walkers need, and its price tag reflects this. This bombproof outdoor watch boasts an ingenious solution to battery life woes, but not much else. It’s simple to use and built to survive, but its tracking repertoire is limited. Way off the baseline distance, not just in our team test but in other walks too. The trackable routes are a helpful touch though, and interface is good. The simplest to use and most modern, uncluttered UK-only app offering full OS mapping, with a similarly excellent desktop app. Augmented reality features now unmatched thanks to Tabletop 3D. It’s a novel way of recording and sharing walks, but otherwise offers little else. The videos are awesome, but alone this app’s not great for tracking long-term progress. Simple readouts, fairly reliable mileage and good for newcomers. Ignore the running-centric setup and social community – just stick with #walk1000miles! Just like having a GPS unit on your smartphone, Viewranger covers all your basic tracking and route planning needs well, and throws in a few extras if you stump up some cash. A fun way to visualise and motivate progress towards a target if your step-counting needs oomph, though it’s mainly for recent sofa-leavers, not regular country walkers. Price: usually free to sign up, but Ordnance Survey maps cost extra. Okay, it’s hardly low-tech, but it does mean manually plotting out your exact route to measure it. 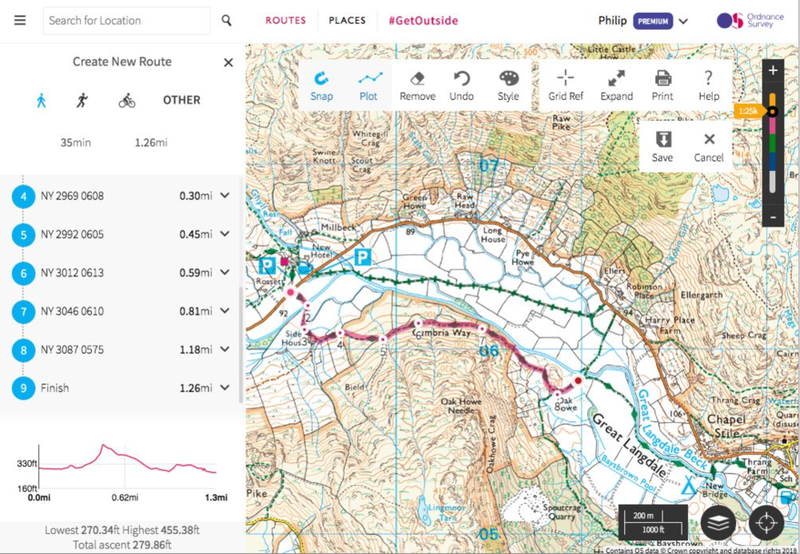 Both the OSmaps and Viewranger apps have website equivalents (both synchronise with your phone via your account). As with the apps, premium features (like Ordnance Survey mapping) cost extra, but you can plot and save routes for nothing using free maps. While a basic pedometer will just count steps, some calculate distance walked based on your stride length. But as they don’t account for changing stride length (over hilly terrain), the reading may not be especially accurate. Price: about £2.50 for a standalone romer. It’s fine for rough, on-the-hoof calculations, but an accurate route distance is difficult to ascertain using a romer, especially if your walk is long and follows minutely wiggly paths. Used in conjunction with your map’s scale bar, a simple piece of string (cut to a scale mile’s distance) is a cheap, tried and tested way of measuring a bendy route on the map. However, it can be a fiddly method and requires great care to be accurate. A quick and fairly accurate way to measure miles on a map. 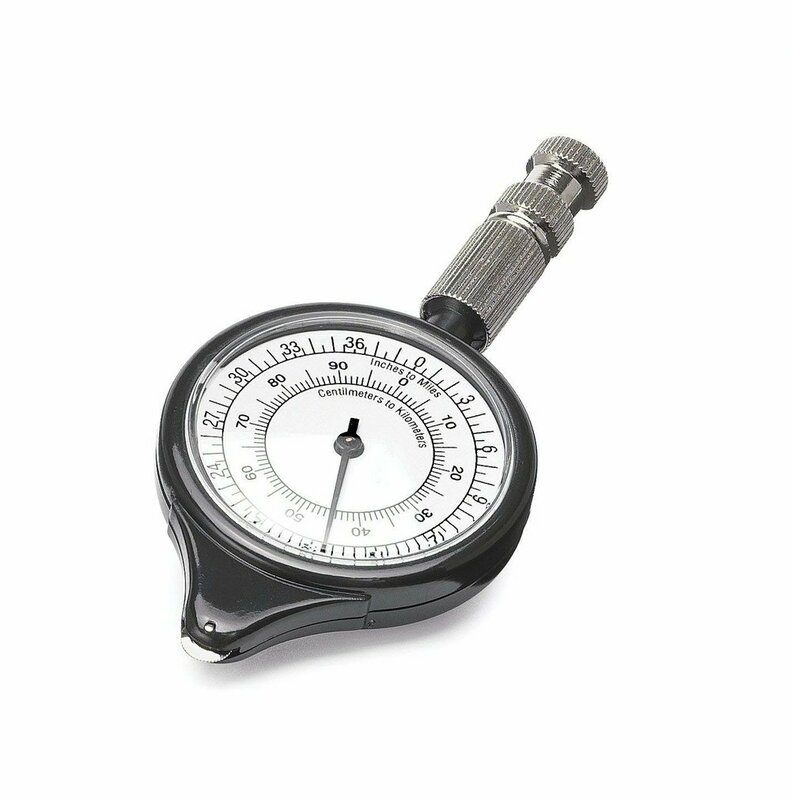 But depending on the wheel you’re using, you may need to apply a little mental arithmetic to convert scales. A faltering mechanism can also skew readings. Get ready to take on a mini-challenge in 2019 & win a money-can’t-buy #walk1000miles GOLDEN badge!